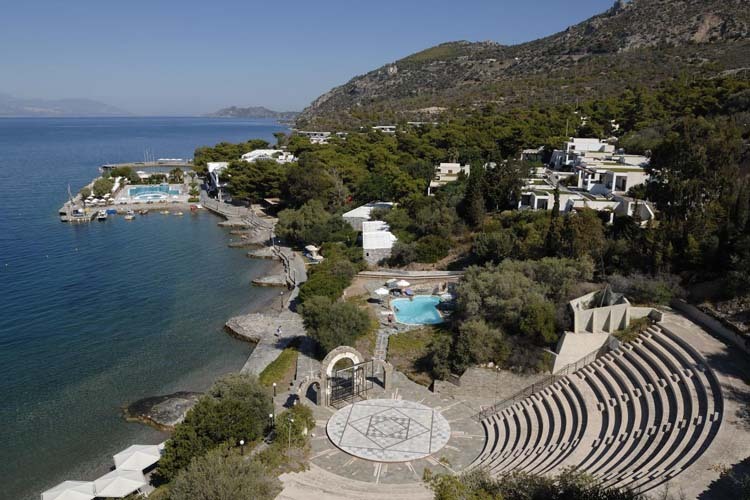 Loutraki is known for its thermal waters, the sea sports and the amazing luxurious casino. The beach is 4 kilometers wide and it is one of the most beautiful and clean beaches you have ever visited. The city of Loutraki is a place for both relaxing and cosmopolitan vacations. The hot springs have a high content of sodium chloride and that is the reason for their therapeutic effects. Even the drinking water coming out of the wells of the area is of great importance for the good health and therefore it is bottled and sold on the market. Along the beach of Loutraki you are going to find some special hotels, unique restaurants and cafeterias full of people, especially during the summer period. Loutraki is one of the top Greek destinations so it is very important to make your reservations the sooner is possible. Today people are getting more and more familiar with the use of internet. Nowadays the best way to organize the perfect vacations is by using the online booking system that is available on the online platform of the online tourist agency e-globaltravel. Loutraki is a great destination so the local people have benefited from the natural resources and they have organized a great number of activities for any kind of person and any kind of vacations. For example you can enjoy some relaxation moments in a local spa or spend some of your time living with adrenaline at the Loutraki’s casino. You can enjoy the nightlife and the great food at the top restaurants or at the cute taverns.